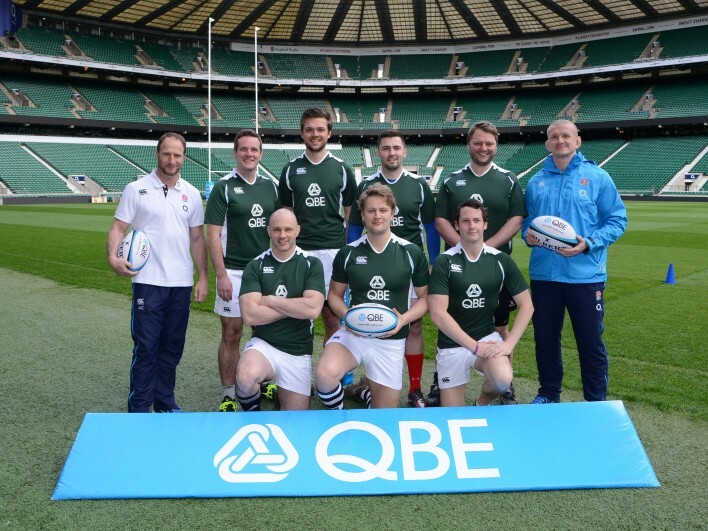 We were recently asked by Generate Sponsorship to be their sports photographers at Twickenham Stadium to photograph all the teams playing in a QBE Touch Rugby Tournament. 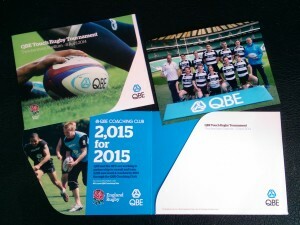 All those playing needed to go home with their team shot mounted in a QBE branded folder. OK. Challenge set. Tournament starts at 1pm. 13 teams coming out of the tunnel onto the pitch. 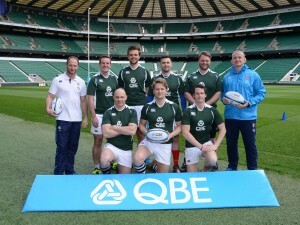 Two of England’s rugby stars, Mike Catt & Graham Rowntree are present to join the teams & build the atmosphere. After the 20-30 minutes it took to round everyone up it was time to print the 127 8 inch x 6 inch prints so all the guests can have them signed & take them home after the Tournament. There’s never much time for printing so I use my trusty dye sub printers to spit the 8 x 6’s out a fast as they can. Once mounted they were laid out on tables in the tunnel for guests to collect & have signed by Mike & Graham. Hi Giles, it was good to see you again today & thanks for all your help, the guests loved the photos! Catch up again soon. Want to discuss an event with us? We’ll be really happy to answer your questions and give ballpark costs.